So far this season the Bruins have been decimated by injuries. As a result, their lineups have been in constant flux. Matters only got worse last week when Patrice Bergeron was ruled out for at least the next month. 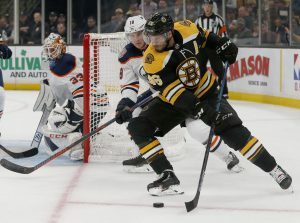 Despite the injuries, head coach, Bruce Cassidy has not had to worry about Jake DeBrusk and David Krejci who are playing their best hockey of the season. With the injury list growing the Bruins second line has carried this team when needed most. 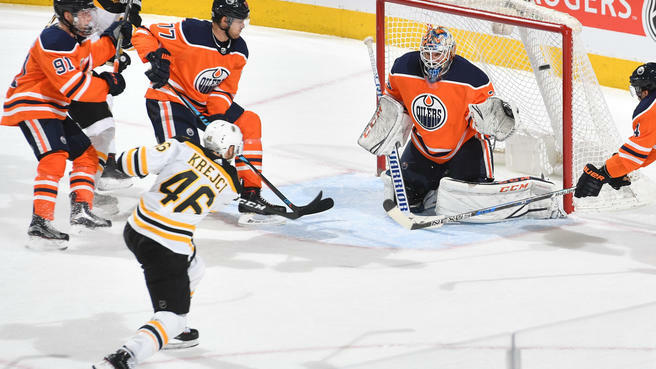 Coming into the season, expectations were high for David Krejci and Jake DeBrusk. 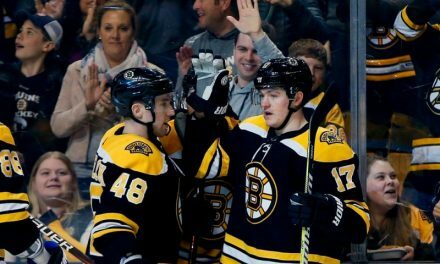 With Krejci’s vision and DeBrusks scoring touch, the two were expected to form a formidable second line. After struggling early on they are starting to meet expectations. 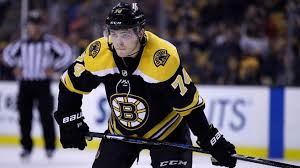 In the Bruins, last five games DeBrusk has three goals. After scoring only three goals in October, he has seven this month including two multi-goal games. Even when DeBrusk isn’t scoring he has been more aggressive offensively and created scoring chances. Additionally, DeBrusk’s improved play is partly due to Krejci who is having a bounce-back year. Through 24 games, the veteran center has 17 assists after recording just 27 last season while battling injuries. He has been particularly good of late recording ten assists in the Bruins last eleven games. The Bruins center is on pace for sixty plus points for the first time since 2015-2016. Against Toronto, the Bruins second line was shutout however they still were aggressive offensively. DeBrusk had a career-high seven shots on net and had the third most ice time on the Bruins. Danton Heinen and Krejci also saw considerable ice time finishing with the fourth and fifth most. They almost tied the game in the third period, however, a post denied Danton Heinen of his third goal this season. Although they were unable to capitalize they created scoring chances that in most nights would have resulted in goals. Having a productive second line will be key to the Bruins success. It will make them a deeper team and put less pressure on their top line. With Krejci and DeBrusk at their best, they have not just been productive but dominant at times. The Bruins have shown that they can be a very good team in spite of their injuries. That is in large part due to Krejci and DeBrusk who have played their best hockey as injuries mount around them. Depth was what made this team success last season and it has again lead to their improved play. PreviousWhy is Tennis betting so popular amongst the people?